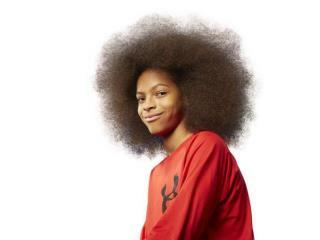 Largest afro: Tyler Wright holds the record, with an afro that's 10 inches high and 9 inches wide, per USA Today. Highest llama jump: A 9-year-old llama named Caspa nabbed this record after leaping 3 feet, 8.5 inches. Longest full-body burn: Austrian stuntman Josef Toedtling set himself on fire for 5 minutes and 41 seconds. Most functional gadgets on a cosplay suit: This Batman-inspired suit from Julian Checkley has 23 tricks up its sleeve. Fastest escape from a straight jacket underwater: Canada’s Lucas Wilson did the feat in just 22.86 seconds. Most bowling balls held simultaneously: American Chad McLean recently held 13, weighing 208 pounds total, smashing the previous record of nine. Highest llama jump? had a rescue that cleared a 4ft fence in one shot from a stand still, ended up in a neighbor's pasture-couldn't catch him so he adopted it. They jumped the shark long ago, but adding all the ridiculous ever-changing social media channels to their roster was the final straw. Nobody cares unless it's some circus freak with 2 heads or a gigantic goiter with a fetus inside it. Oh, and I've seen bigger (real) afros than that kid's about 100x in the past 10 years.